Assistant Professor, Departments of Rehabilitation Medicine and Physiology & Biophysics, University of Washington School of Medicine. 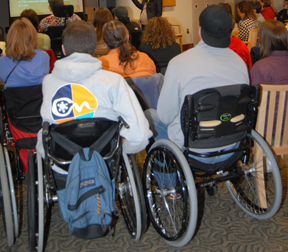 Presented on February 8, 2011 at the University of Washington Medical Center by the Northwest Regional SCI System, Department of Rehabilitation Medicine, University of Washington. Presentation time: 66 minutes. After watching, please complete our two-minute survey! 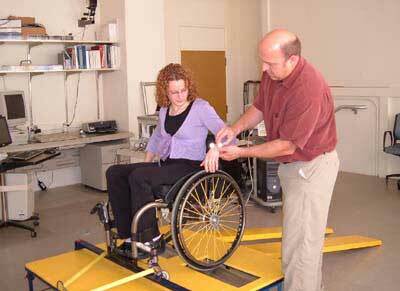 control of movement to paralyzed muscles. His research uses a combination of animal and human studies. In this presentation, Dr. Moritz summarizes the state of the art in this field and describes his study using brain activity to control Functional Electrical Stimulation (FES) to stimulate the muscles of a paralyzed wrist. 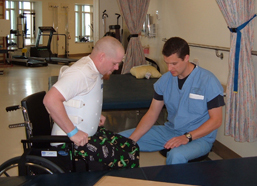 In addition to direct muscle stimulation, another promising approach is intraspinal stimulation. This technique was nearing its first clinical trial at the time of this talk. Dr. Moritz explains intraspinal stimulation and his work generating movements of the hand and arm.